We were really pleased to receive this article from Mac about the Evliya Çelebi Way 2014 ride and to hear that other riders joined along the way to complete the journey. Hopefully we will have more stories from Mac and Donna this year about their forthcoming horse-riding adventures. Central Anatolian Trek, or Büyük Anadolu Tür 2014, Completed Successfully! Donna and I reported on the early days of the 2014 ride from Avanos across the Konya plain to join up with the Evliya Çelebi Way in Kutahya, and we’re delighted to report that the ride was successfully completed (almost on schedule). Caroline Finkel left the riders once they reached Kutahya, but Tim Grace arrived from Australia to join the group on the final leg of the journey, which picked up the Evliya Çelebi Way. Almost there! 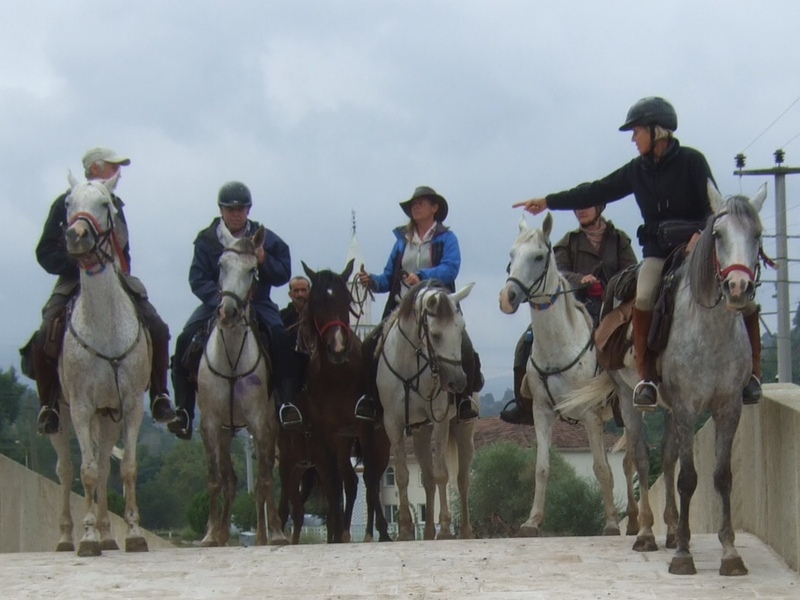 Riders completing the 2014 Central Anatolian Trek Jean, Tim Grace, Inci Mehmet, Jude, Susan and Ann. Plans are underway to develop a series of equestrian extensions to the existing Evliya Çelebi Way in the Bursa-Inegol area. Tugrul Avci has met with Caroline Finkel to discuss proposals being put before the local provincial mayors to open up routes suitable for horses and walkers that would extend the ECW to take in the villages of Cumalikizik and Oylat. Cumalikizik has recently been designated a UNESCO World Heritage Site. 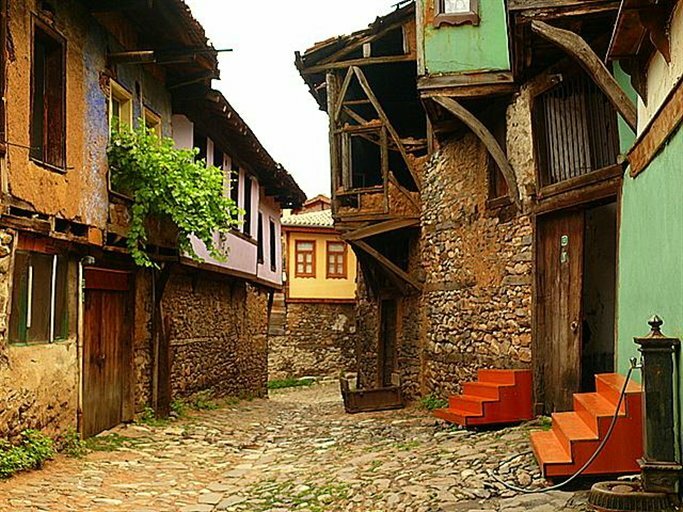 This unspoilt village in the foothills of Mount Uludag provides an amazing example of early Ottoman village design and architecture; just as it was in Evliya’s day. Oylat is an ancient hot-spring ticked into a ravine which people continue to visit in pursuit of the beneficial effects of the mineral baths. In addition to offering new possibilities for walkers trekking the ECW, the new route will provide new equestrian possibilities since the Cumalikizik-Oylat extensions would make for short-term riding expeditions of one to three days in the saddle. These shorter rides should suit anyone who cannot find the time to ride the Evliya Çelebi Way for the full two weeks from Kutahya to Iznik (or Yalova). There are also hopes that the new equestrian route will be suitable for further development as a course for use in Equestrian Endurance Trials. If all goes according to plan, there will be an initial horseback expedition to find the best ways in May.